Upon opening the can, no distinct aromas came out, although you may receive the obvious flavours of Southern Comfort and lime if you poured it into a glass. Tasting it though, SoCo is definitely there! If you had to do a blind tasting of pre-mixers, you’ll be kicking yourself if you got this wrong. The sweet spices and fruit hit you instantly with the lime lingering around and subtly mixing well. The low carbonated lemonade makes this a smooth beverage to have and gives that classic Southern Comfort after-taste, albeit a little dry. It’s not too strong on your senses but you don’t feel like you’ve been cheated out of anything like other pre-mixers can. This would be great for a summer’s day drink, especially if poured into a lime rimmed glass to add some extra fresh flavour (and just look at the can! Strikingly better than the other pre-mixer can out there!). Give it a try, I know I wouldn’t pass up on the opportunity if I saw it again. I tried this recently and found it too sweet unless you squeezed some lemon or lime in it. 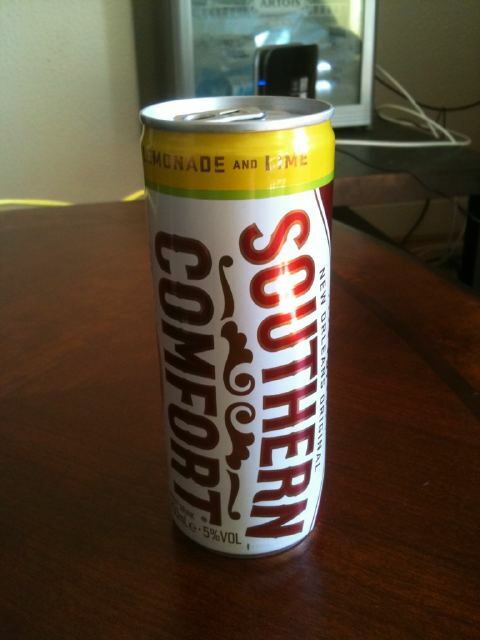 I much prefer the Southern Comfort Black Cherry & Cola. Enjoying the site. which will be disproportionately borne by the poor (who spend a higher percentage of their income on food). To tell some they are not achieving much with the 10,000 steps program and now they must do more intensely could result in some giving up completely. are so small, the incisions made in the skin when performing chin lipo are very tiny. hygiene to avoid a nasty rash, we’re in the same boat. A hole raised up, inverted and placed upon a column of metal. and become the person you’ve always wanted to be. than you were previous to eating the carbohydrate. of exercise. Very simple low impact nearly everyone could do this. help. Aside from growing older there are two additional key aspects in the progression of.